Hello, everyone! I hope you had a great Super Bowl Sunday! 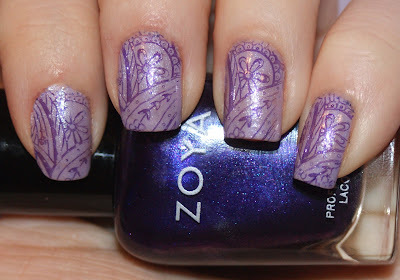 I've really become a huge fan of stamping as of late and have been finding myself experimenting with a lot of different finishes and patterns. This is a fairly simple one that I wore to work last week, which everyone seemed to love. This look was created by stamping the houndstooth pattern from the BP L-006 plate by Born Pretty in Sinful Colors Black on Black over Colors by Llarowe Chillin' in Paradise. It wasn't too overly sparkly and had a nice muted look when indoors, but a nice pop outside! Greetings, all! Today's post is a little different than normal because not only will you read the insights of Princess Polish, but Queen Polish (aka: my mom) will be chiming in, as well! 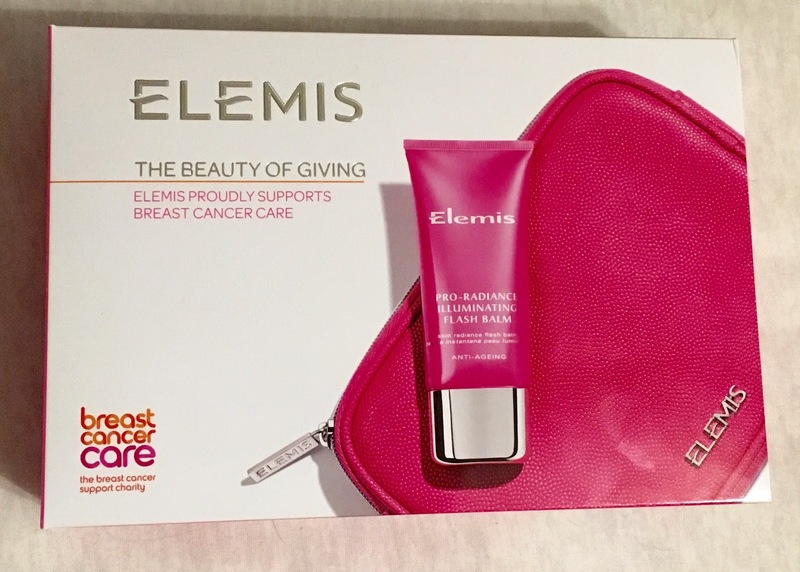 In honor of Breast Cancer Awareness, Elemis has released a special pink edition of their Pro Radiance Illuminating Flash Balm. 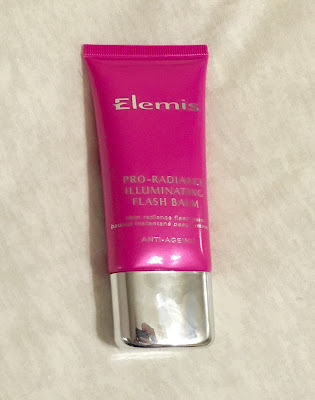 According to Elemis, this product helps skin glow and is a hybrid moisturizer packed with vitamins to protect, hydrate, and add radiance, allowing you to look and feel good at the same time. They also suggest using it as a primer. I put it to a one-week wear test, mainly using it as a primer, but occasionally as a moisturizer after washing my face at night. 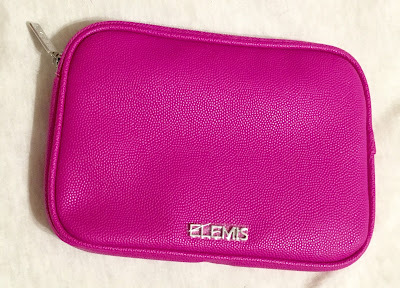 The balm was packaged in what's billed as a pink tablet case, but also functions rather nicely as a makeup kit! 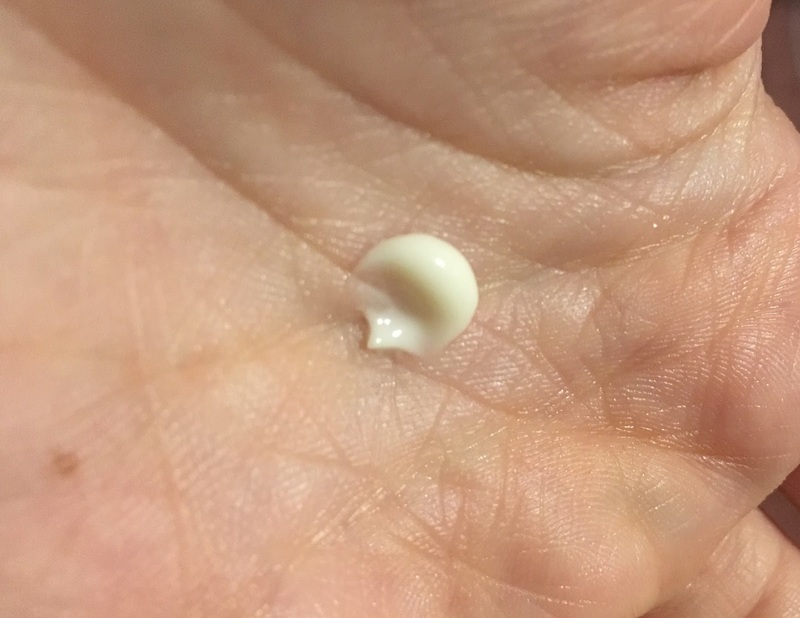 The tube IS rather small (no smaller than the average tube of foundation), but you're only using a pea-sized amount at a time, so a little goes an exceptionally long way. That is roughly the amount I used each time I applied the Flash Balm to my face. It isn't as thin as my regular primer, but I found that while it's definitely thicker, it isn't greasy. I do feel like it gets better coverage. At 25, anti-aging isn't much of an issue for me, but I can say that we're at the season where dry skin is becoming a problem here in the northeast. Not only did this keep my skin hydrated, but over the course of a week, my makeup lasted longer than usual. I also was good and sick with a bad cold at the start of this past weekend and dabbing a little bit on my nose kept the skin from flaking like it does when I sneeze a lot or blow my nose. A tad gross I know (sorry! ), but nobody wants to look like their nose is shedding at work! Queen Polish's take: Mom has always used a tinted moisturizer for as long as I can remember, so this was applied underneath. She LOVED IT. It was nice and thick for her and she found that her skin didn't dry out by 2pm. Plus, her skin still looked fresh and hydrated when she took off her makeup at the end of the day. Elemis Pro Radiance Illuminating Flash Balm is part of Elemis's £10,000 donation to Breast Cancer Care, a registered charity in England, Wales, and Scotland. The price is £60 via Elemis.com for UK sales or $50 in the US via Dermstore.com (where you can currently use the code OCT20 for 20% off your purchase!). Will you be picking up this awesome product? For a beauty blogger, narrowing down what I bring on vacation to just the essentials is a chore. After all, I have over ten deep drawers full of polish, blushes, foundations, and other bath and body products. The Hawaii lotion, Pantene root boster bottle, dry shampoo, and face wipes were packed in a gallon bag in my suitcase on their own. 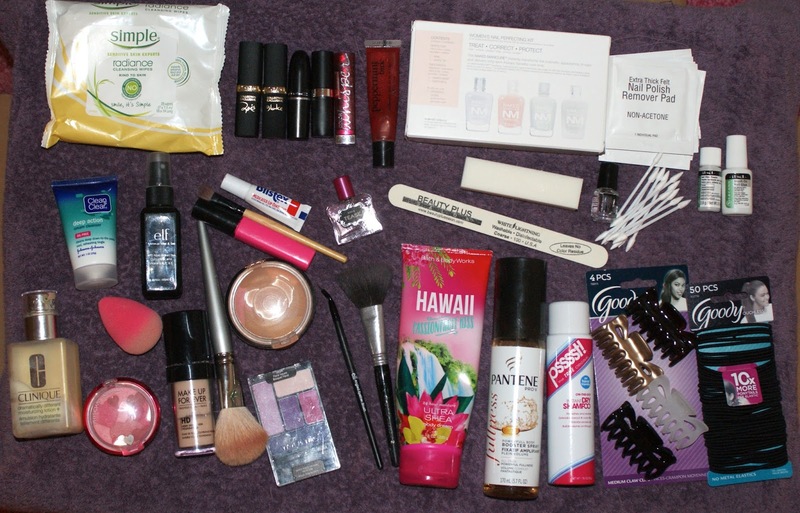 However, everything else fit into my Victoria's Secret double-sided cosmetics case. So what exactly did I bring?